After binge watching The Unbreakable Kimmy Schmidt (@KimmySchmidt) I have been having withdrawal and turned to re-watching episodes of 30 Rock which seemed natural as both are produced by Tina Fey and Robert Carlock and star the ever talented Jane Karkowski. 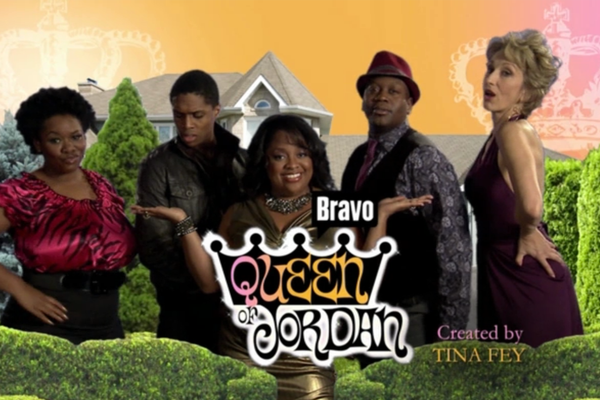 After watching my all-time favorite episode (episode 17 from season 5) called “Queen of Jordan” – so I can hear Sheri Sheppard (@SherriEShepard) say the line “my single My Single Is Dropping is dropping” and see Tituss Burgess (@TitussBurgess) as D’Fwan – I started back at the beginning. And in the process stumbled across an episode that intersected with my day to day life. In episode 8 of season 3 Liz Lemon (Tina Fey) is trying desperately to avoid the flu that is tearing thru the TGS crew because she has an upcoming vacation. May is still flu season and new cases of flu are popping up in the hospital, so I find myself doing the same as Liz – trying to avoid the flu while at work. But I have something Liz Lemon does not. I got the flu vaccine at the beginning of flu season. Can the flu vaccine really help prevent the flu? Yes it can. The flu – or influenza – is a contagious virus that infects millions of people every year. Flu “season” is from October to May of every year. As the virus circulates the globe it changes and that is why a flu vaccine is needed on a yearly basis. The Centers for Disease Control (CDC) in the US works with labs around the world to determine which influenza viruses are more likely to cause infection during the upcoming flu season. The Federal Drug Administration makes the final decision about the influenza vaccine. Once the flu vaccine is available most people should take it. The CDC recommends everyone over the age of six months receive the flu vaccine (with some exceptions). And getting the flu vaccine can help prevent you from getting the flu, can keep those around you from getting the flu, can make your illness milder if you do get the flu and can help reduce flu related adverse outcomes. So even if you have to dance for your flu vaccine go ahead and get it.